Do you really believe in having good breakfast at the start of the day? Many health experts believe that you should have good breakfast that can keep you healthy and fit throughout the day. If you are interested in finding better breakfast foods you can go for various spread and juices that are available in the market. Jif has remained one of the popular brands for peanut butter, but now the company has decided that they would come up with something interesting for the audiences. The company has come up with Jif Hazelnut spread launches that will make things better for the people. In their recent announcement that company said that Jif breaks out of its shell and goes hazelnuts. This is the first time that Jif has come up with hazelnut spreads for the customers. The company said that they have tried to make things even better for their customers and therefore the spreads are available in two different options. 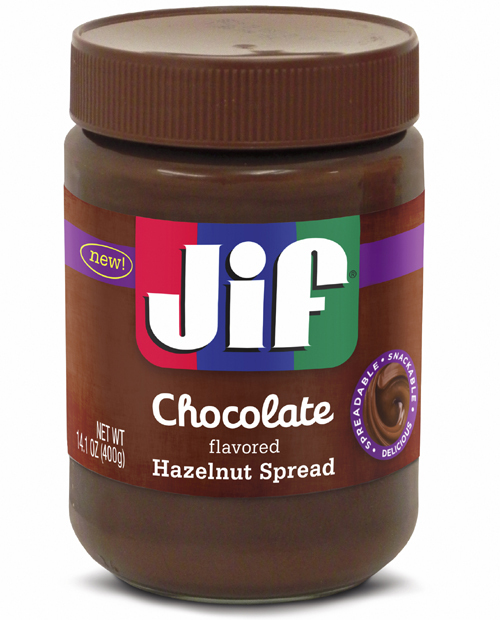 Jif Hazelnut spreads will be available in Chocolate and Coffee flavors. The company has announced that Jif Chocolate Flavored Hazelnut Spread and Jif Mocha Cappuccino Flavored Hazelnut Spread are now available in various grocery stores. Maribeth Badertscher, VP of Corporate Communications said that Jif has a great history when it comes to peanut butter and therefore the company decided to come up with interesting products like hazelnut spreads which are very natural in taste and will help parents as well. These spreads are delicious and they provide lot of nutrients and vitamins which are important for the hectic schedule that people go through. These spreads can be used in breakfast or they can be added to various hot and cold beverages, snacks and desserts. Jif said that they have designed these products for the entire family and not only for the kids. Jif has always been one of the best brands and hope they make this better. I think hazelnut spreads are not that popular and therefore it might take some time to capture the market. It also has a very different taste so hope people like this change.